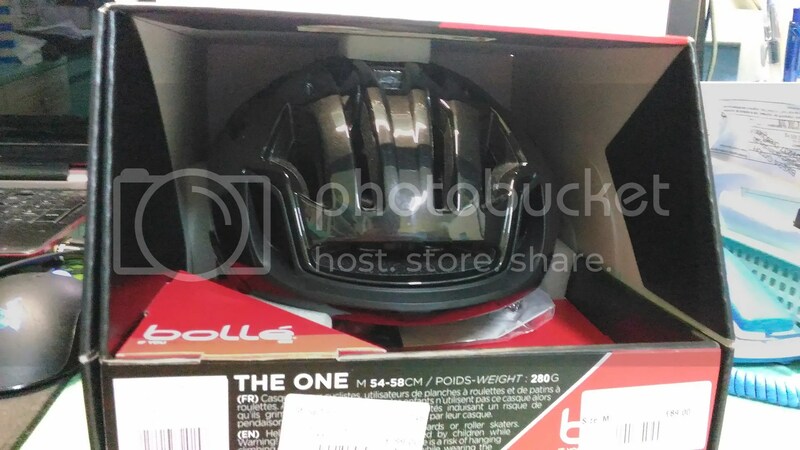 Bollé first foray into the cycling helmet scene is aptly called The One. Why do they The One ? Nobody knows. The One however does pack a number of extra features, some of them unique when the helmet was introduced back in Interbike 15. The One comes in two trims, a standard and a premium model. The only difference between the two is the inclusion of the “aero” shell cover for the vents. The helmet that I have is the standard. 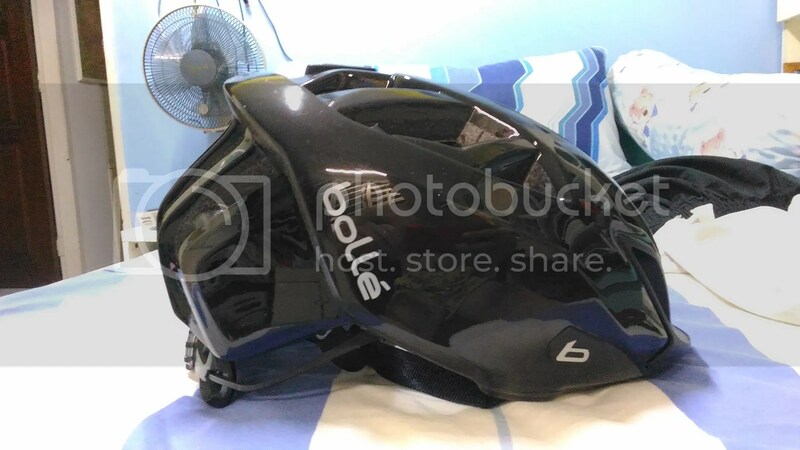 As Bollé pronunciation (I think) is same as the Malay word for can (Boleh) can this helmet be the helmet for everything ? Note to self: Claimed weight 280 grams in medium. The helmet did come with a surprising amount of accessories. In no particular order, helmet, Led Light, winter lining (which will never ever be used here) and a helmet drawstring bag! 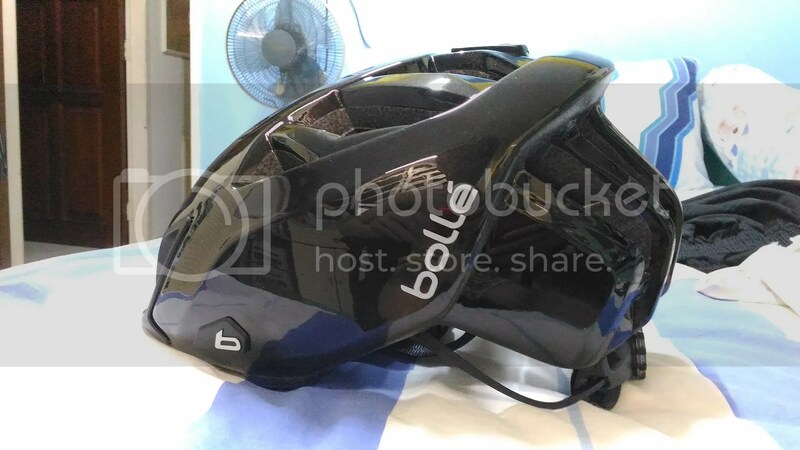 Bollé website has a number of features listed for the helmet. But here are the ones that are unique to the helmet. While of the 3, the one that I use is the LED rear Light. I never got around to configuring the safety QR code. For the code, the QR code is a sticker inside the helmet that says “Do Not Remove”. The helmet has a nice glossy finish and lots of vents to keep you cool in the warmest weather. The Led light is quite useful as it serves as a useful backup for your main lights. The light provided are not your cheap S$2 lights that you buy from the value shop. This light are bright and the integration to the helmet is a nice touch. The light come in the 3 modes: off, flashing and non flashing. A helmet weight has a very important role in keeping the helmet comfortable. Generally, the lighter the helmet, the more comfortable it is. The One has a claimed weight of 280g, this makes it a heavy weight compared to the OGK. How about the actual weight ? 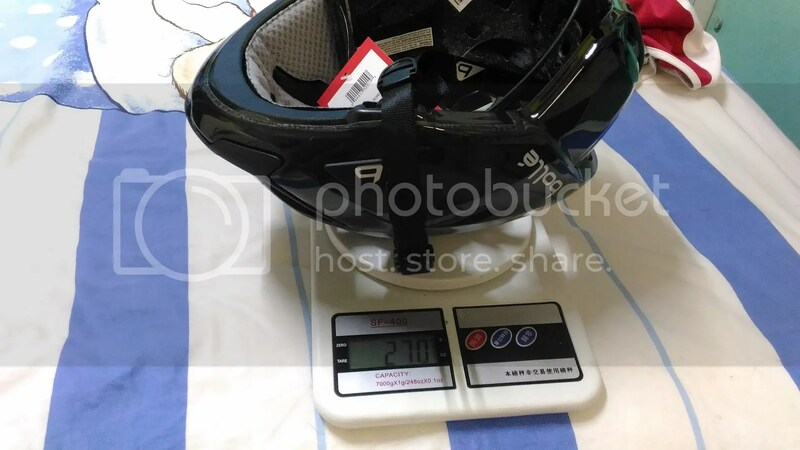 Helmet weight without LED light, with rear back plate. 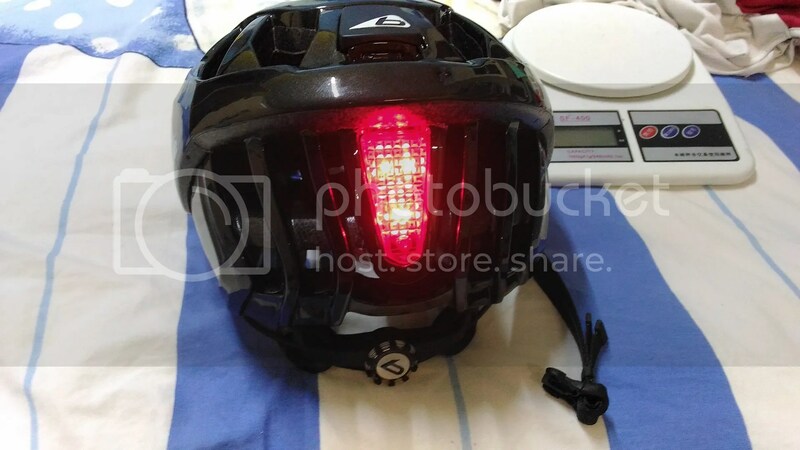 Surprisingly, for the helmet that I got, the claimed weight includes the LED light. That is no nonsense proper claimed weight! To forego that 10g or so for the light in my opinion would not be a very wise decision no matter what the weight weenies would say. I am very hesitant to write about this part, mainly due to the fact that my head cannot get along well with the shape of the helmet. 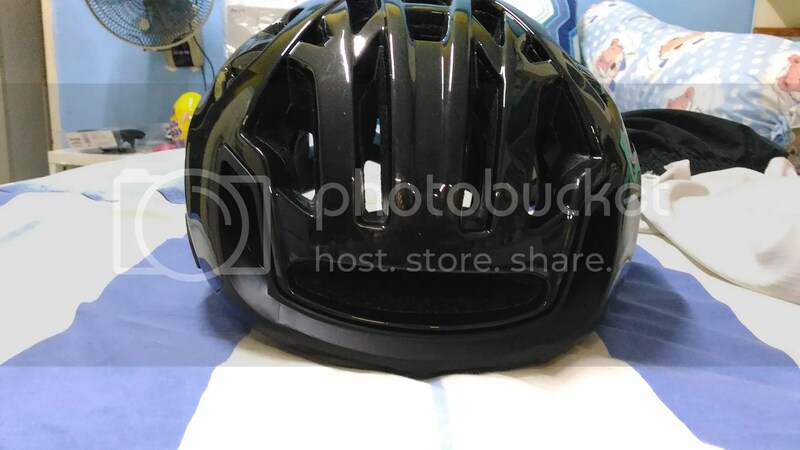 The helmet fits snugly onto the temples and for my first few rides, I kept having terrible headaches from the fit. Over time, I realised that shifting the helmet forward makes the pain disappear. The fit is not exactly the best but it works. It could be due to the European make and Asian heads might not fit well into the helmet. 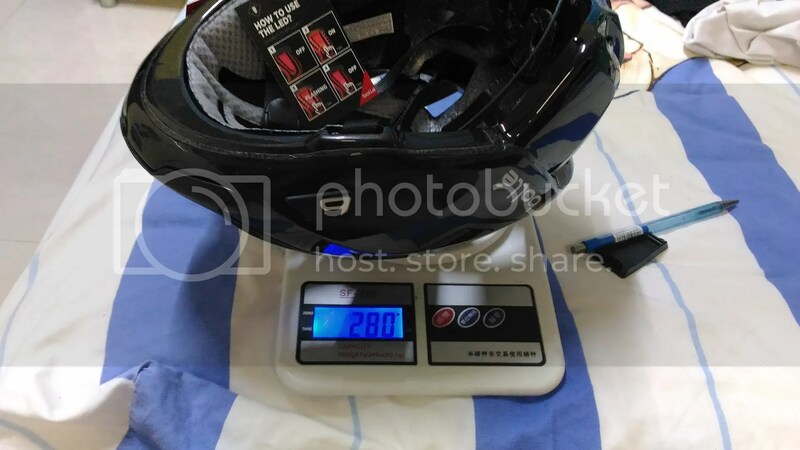 As of now, this is still my helmet to go for riding, and though it weights almost 100g heavier than my OGK, I do not mind the weight. At 90 pounds (VAT included) this is not a cheap helmet. We can see the premium difference in the accessories and features of the helmet. I like the looks but the shape of the helmet might not fit everyone. It is a helmet that not only looks cool, but has safety of the user in mind which is what a helmet is meant to be used for. Bollé has really made a helmet that is The One to go to, be it for races or for your everyday commute. The author is not sponsored nor paid by Bollé or Cycle Surgery. The item in review is paid for using the author’s own money. As at the point of writing, the author still owns the helmet. 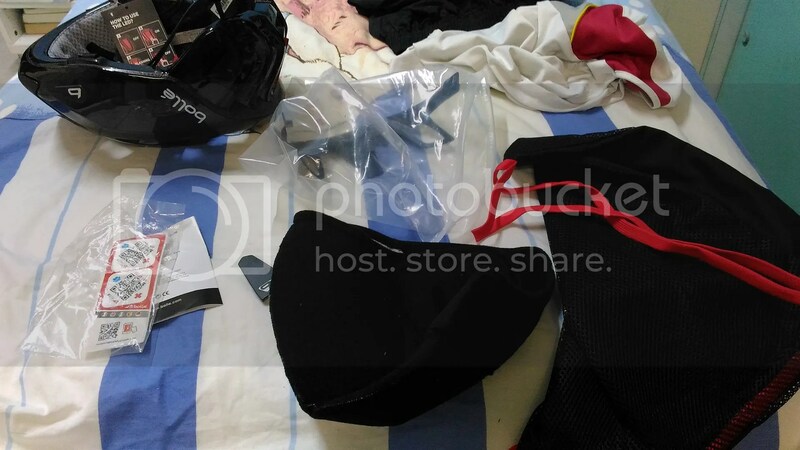 This entry was posted in Bollé, Reviews, Upgrades and tagged Bollé, Helmet, The One. Bookmark the permalink.